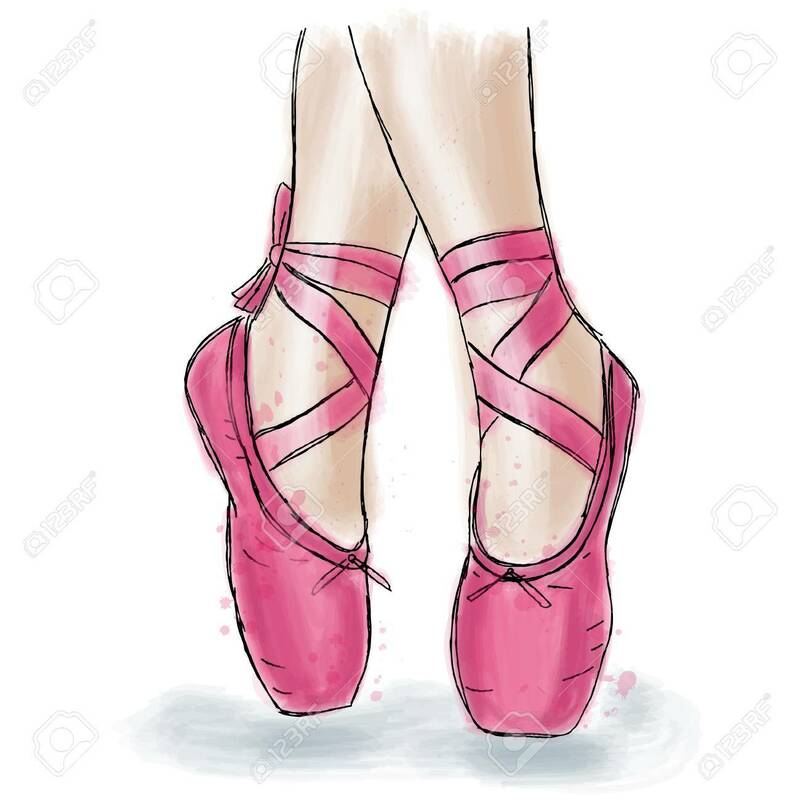 Pink Ballerina Shoes. Ballet Pointe Shoes With Ribbon. Hand Drawn Art Work Isolated On White Background. 免版稅剪貼畫，向量插圖和股票. Image 84068033.